Institutional Neurosis describes the clinical features of the disorder in mental hospitals, its differential diagnosis, etiology, treatment, and prevention. This book defines institutional neurosis as a disease characterized by apathy, lack of initiative, loss of interest in things and events not immediately personal or present, submissiveness, and sometimes no expression of feelings of resentment at harsh or unfair orders. The cause of institutional neurosis is uncertain, but it can be associated with many factors in the environment in which the patient lives. 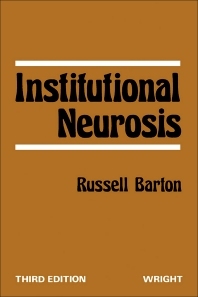 This text considers the factors associated with institutional neurosis such as loss of contact with the outside world; enforced idleness; brutality, browbeating and teasing; bossiness of staff; loss of personal friends, possessions and personal events; drugs; ward atmosphere; and loss of prospects outside the institution. This publication is a good reference for medical practitioners and students interested in the mental changes that may result from institutional life.